The different levels of this website represent the best way to make a large number of drinks without having to buy 20 bottles of strange booze. 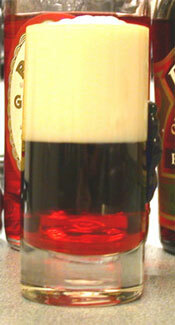 Level three uses six different types of booze to make a large number of different drinks. We think you'll like this bachelorette party cocktail guide. Mixers like Juice (orange, cranberry, pineapple, Coke, 7-up, coffee, sugar, lemons, limes, plenty of ice (level 1 ended here). Whipped Cream (level 3 ends here). (level 4 adds daiquiris and some other fun stuff). (level 5 goes all the way on the first date). Below you will find all of the drinks that you can make just from the alcohol listed above. 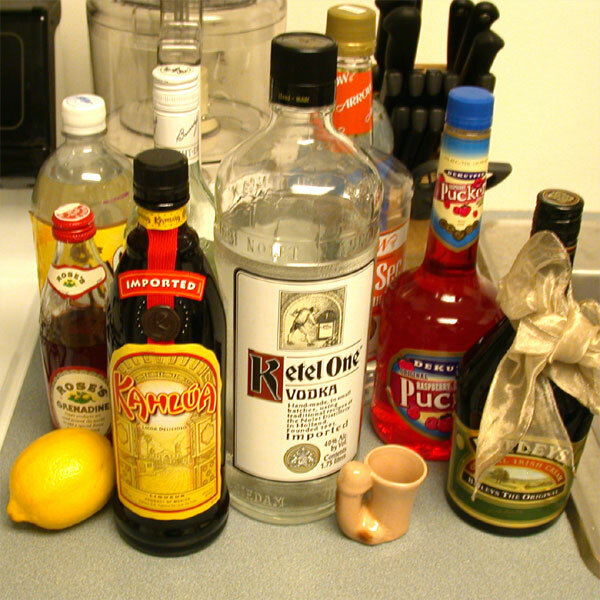 Man, there are a lot of drinks that you can make just with a few bottles of booze. Layer in order in shot glass. Drink without using your hands. Expect to make a few of these during a bachelorette party. Serve on the rocks or even in a tall glass over a small scoop of chocolate ice cream. Mix the baileys vodka and triple sec, put whipped cream on top in a shot glass. Layer the drink. Grenadine first, then Kahlua and then Bailey's. Bachelorette Party Drink Items at Bachelorette.com. Shop In Private - Sells things that are embarrassing to buy at the store. They hire me as a copywriter. I do product descriptions for them. Some of the products are incredibly strange. Bachelorette.com - If you are having or attending a bachelor party or a bachelorette party in the future you really should stop by Bachelorette.com. They are my main source of incomve and they have great products, fun party ideas and unique gifts. Most of the things they sell just aren't available anywhere else. Take Off Your Socks - A simple piece of advice the my friend JC used to dispense. The site is a memorial to him. Bachelorette Party Stripper - A parody the male stripper business. I plugged in the names of all of my friends in the testimony pages. Now, when they google themselves they find these strange comments about an overweight stripper attributed to them.